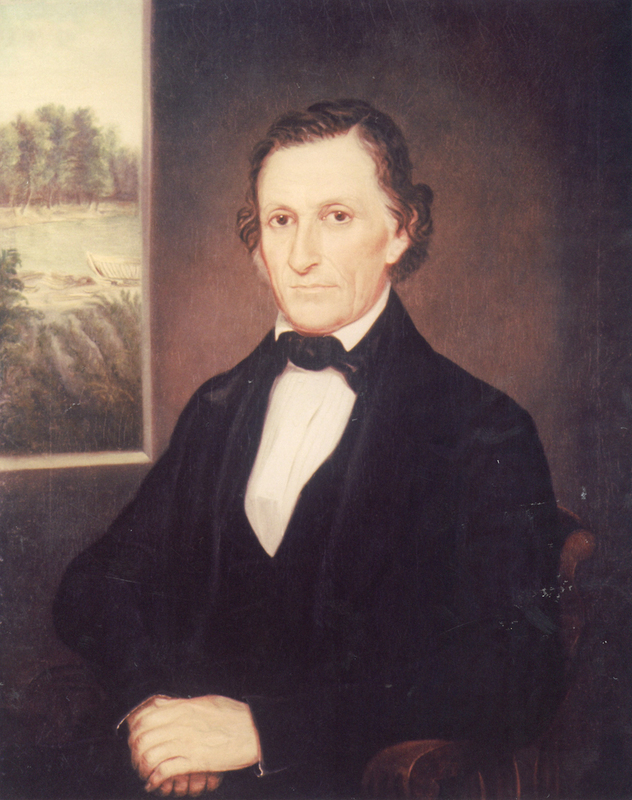 From the mid-1820s to the Civil War, shipbuilding fueled New Albany’s economic growth. 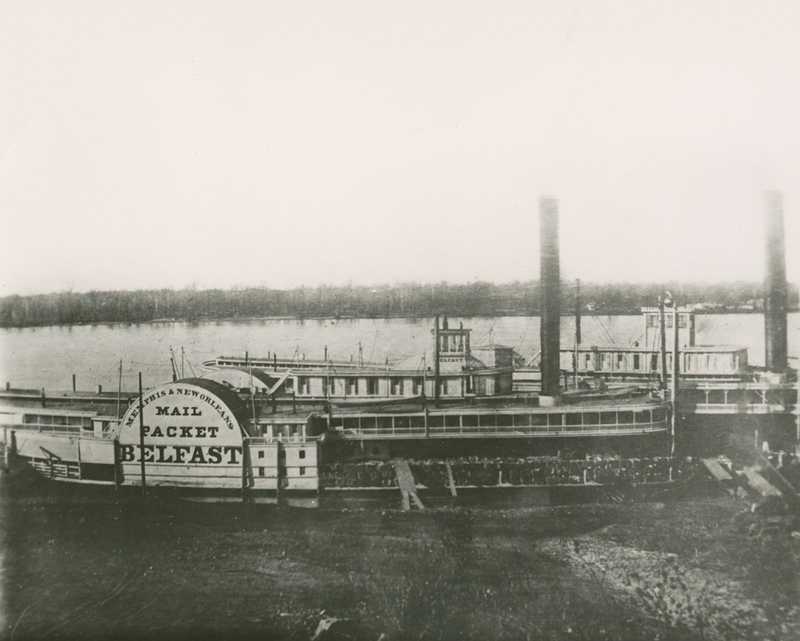 New Albany shipyards produced $12 million worth of rivercraft by 1860. 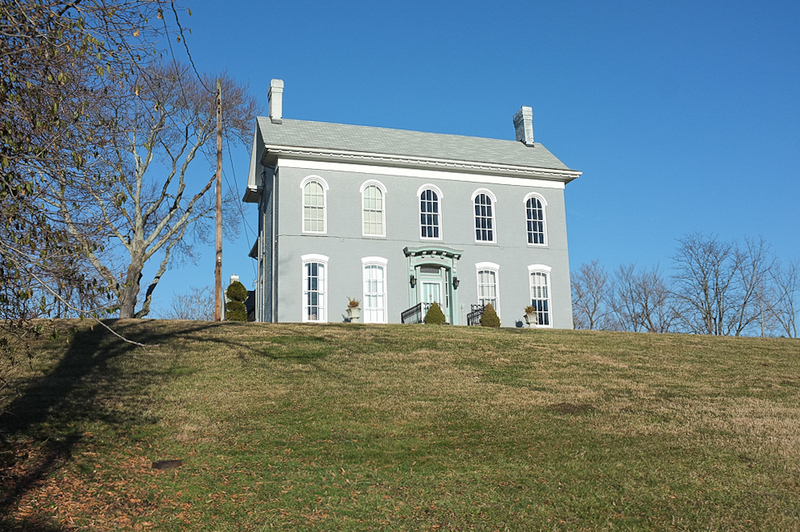 Production began in 1819 and peaked in 1856, when New Albany builders produced twenty-two boats. Riverboat construction attracted skilled craftsmen to the city and created a thriving industrial complex. During the 1850s, the five largest yards employed about 450 laborers and mechanics. 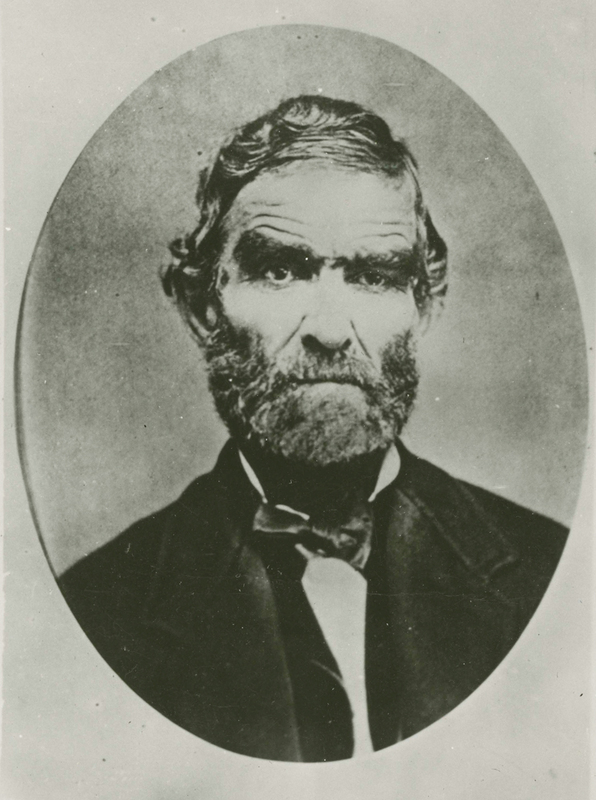 Master builders gained fame and fortune by supervising construction of large ships destined for service on the Ohio and Mississippi rivers. New Albany shipyards built several ships that became famous because of their elegance and exploits. The Eclipse (1852), the A. L. Shotwell (1853), and the Baltic (1856) all became widely known. 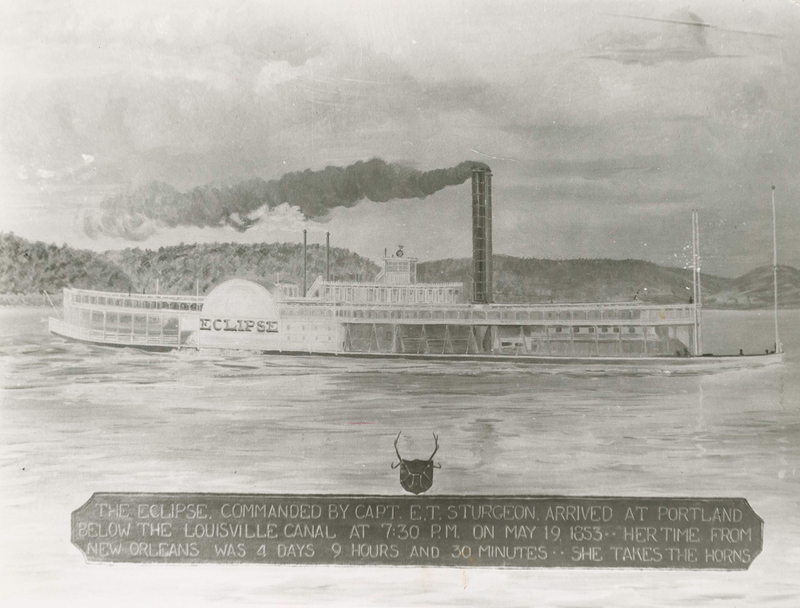 The Eclipse was one of the largest boats built west of the Appalachian Mountains. At 1,117 tons, it was about three times as large as most boats on the western rivers. Like other “best boats,” it featured elegant interiors designed to woo guests with luxury and comfort. An opulent grand saloon, or main cabin, served as the ship’s dining room and main social venue. One hundred and forty staterooms stood alongside. Like other highly touted vessels, the Eclipse also drew attention for its speed. It participated in the most famous steamboat race before the Civil War, a contest with the A. L. Shotwell. The race failed to produce a victor—the captains of both vessels claimed the win—but attracted great notoriety. 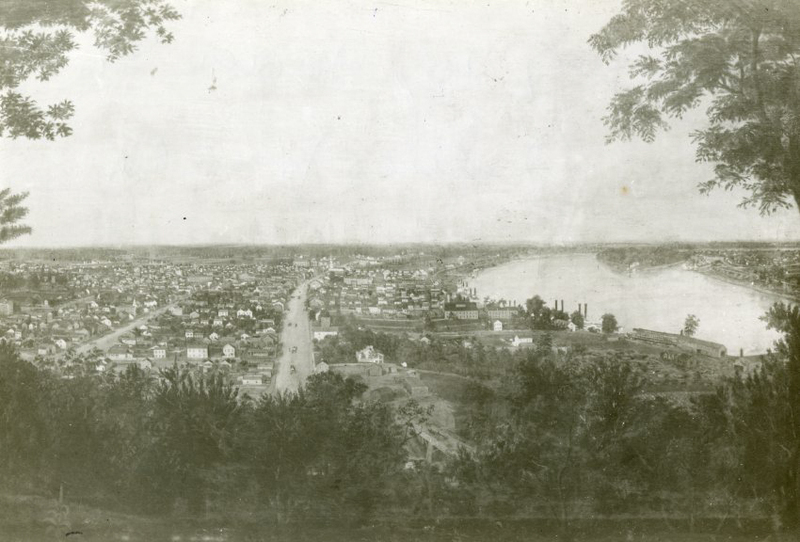 Shipbuilding ended in New Albany after the Civil War. Railroads quickly supplanted riverboats as the preferred means of moving goods and people. 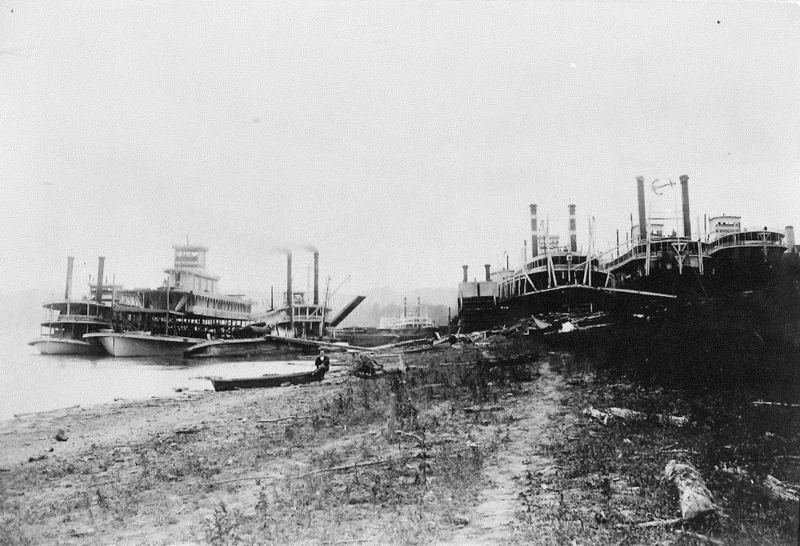 The firm of Murray and Company remained in business by concentrating on production of flatboats and barges for carrying coal and other heavy freight. Foundries and cabinetmakers turned to other markets, and craftsmen and laborers went to work for new employers. 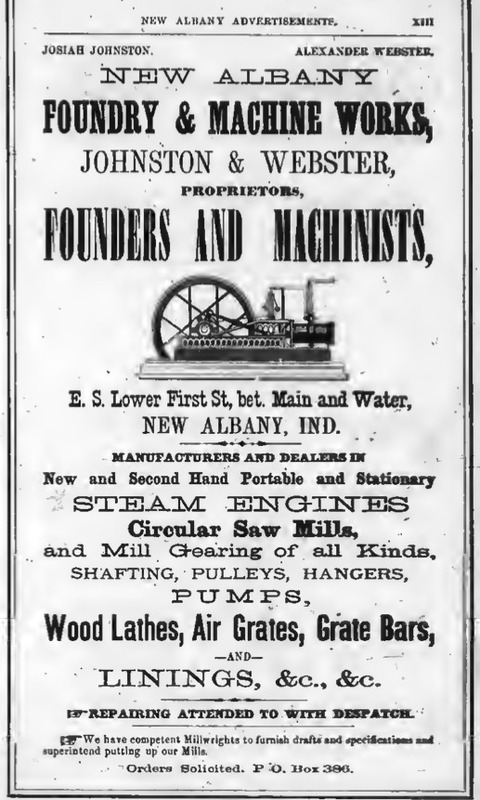 New Albany remained a manufacturing and shipping center, but its boatbuilding days lay in the past. 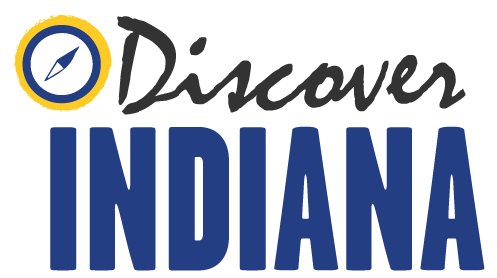 Ashley Slavey, Megan Simms, Wes Cunningham, Eric Brumfield, and Katy Morrison, “New Albany Shipyards,” Discover Indiana, accessed April 25, 2019, https://publichistory.iupui.edu/items/show/154. History of the Ohio Falls Cities and Their Counties (Cleveland: L. A. Williams and Co., 1882), 168-171. Lawrence M. Lipin, Producers, Proletarians, and Politicians: Workers and Party Politics in Evansville and New Albany, Indiana, 1850-87 (Urbana: University of Illinois Press, 1994). 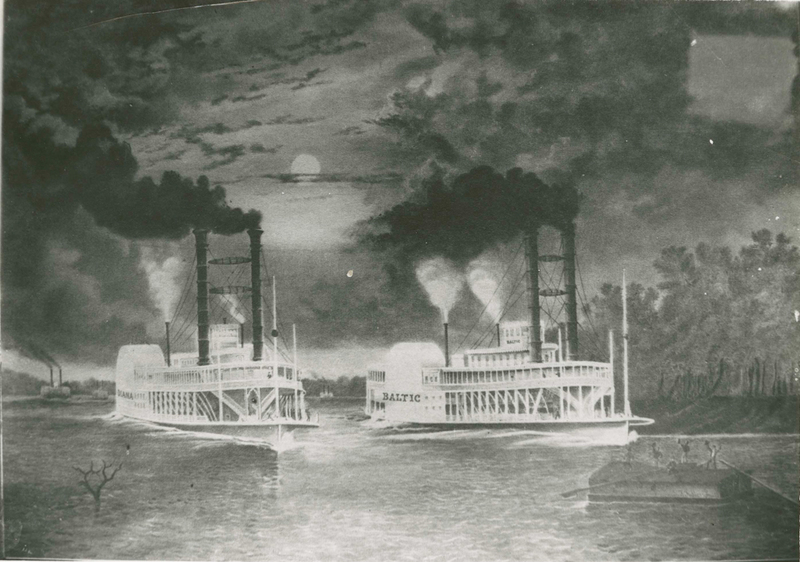 Robert Gudmestad, “History of the Steamboat Eclipse,” Ohio Valley History 12, no. 3 (Fall 2012): 21-42. Published on May 20, 2016. Last updated on Apr 2, 2019.